Dell and Intel Corporation are getting ready to launch “What Lives Inside,” the fourth in the Inside Films series, exclusively on Hulu on March 25. The film stars J.K. Simmons (“Whiplash”), Colin Hanks (TV’s “Fargo”) and Catherine O’Hara (“Best In Show”), along with the world’s thinnest tablet, the new Dell Venue 8 7000 Series tablet with Intel® RealSense™ snapshot and an Intel® AtomTM processor. New episodes will premiere for four weeks on Hulu and starting May 6, the full series will be available on WhatLivesInside.com and on YouTube. The film centers around Taylor (Hanks), the son of an absentee father who finds himself on a journey of self-discovery. 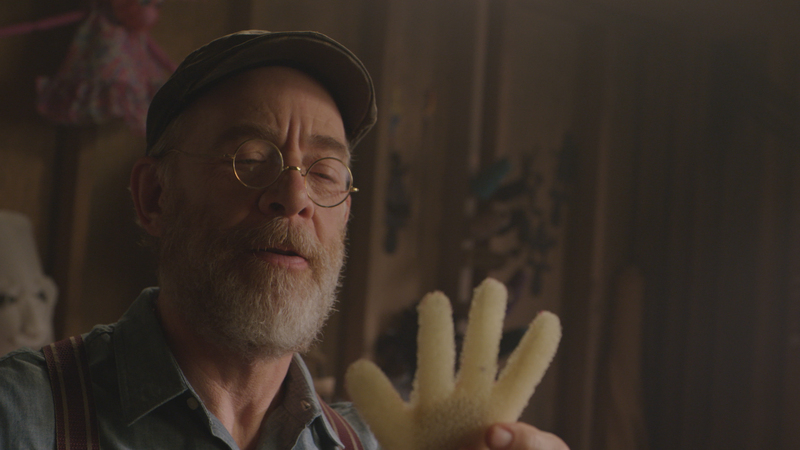 His father (Simmons) was a well-known and acclaimed children’s puppeteer who was widely celebrated for his creativity. After his passing, Taylor discovers a mysterious world of his dad’s creation and finds himself on an adventure that will soon unlock his own creativity. 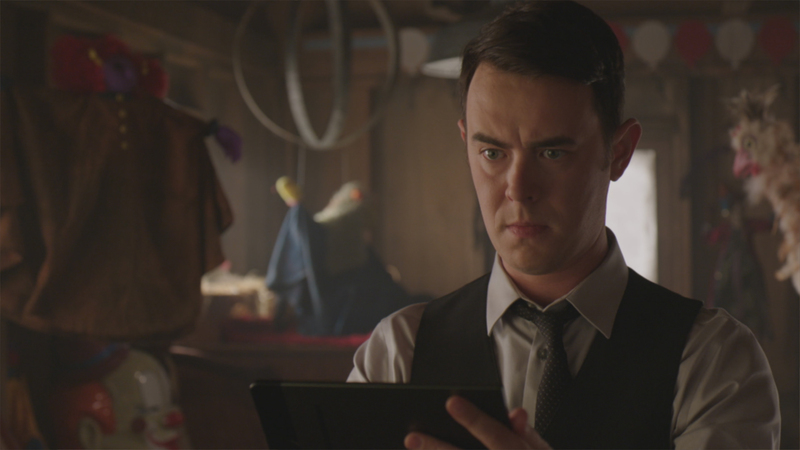 The Intel-powered Dell Venue 8 7000 Series tablet with Intel® RealSense™ snapshot plays a critical character in the film, accompanying Taylor on every step of the journey and helping to unlock his creativity. ‘Inside Films’ is the longest-running branded content series and has continually adopted new genres and social activations ranging from thriller (Inside), romance (Beauty Inside), science fiction (Power Inside) and now fantasy. This year’s social component involved director Robert Stromberg inviting the public to collaborate with him to complete the film by submitting character sketches and drawings for potential inclusion in the story. 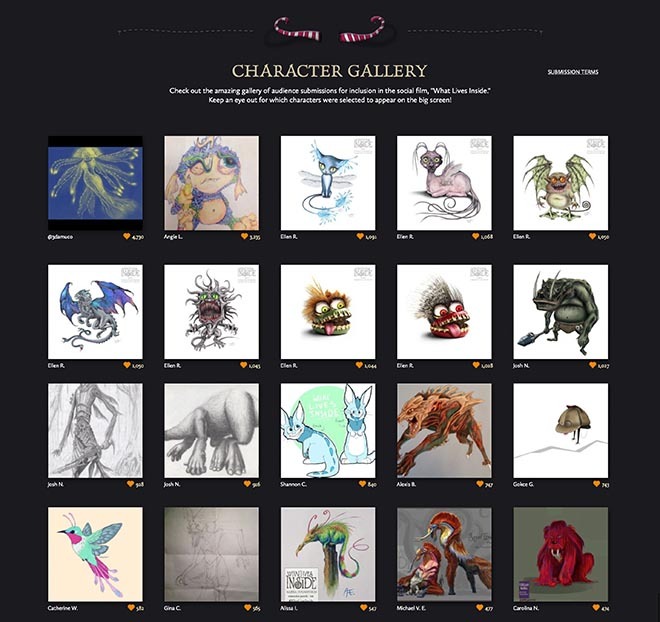 Submissions were accepted on www.WhatLivesInside.com from Jan. 13 through March 9, and the winning drawings were handpicked by Stromberg and appear in the film. When the film premieres, viewers will have the chance to see which submissions were chosen to appear in the final version of the film. Integrated into the viewing experience in an organic manner, the product’s unique features become the perfect tools for the emerging artist in Taylor to showcase his work. The stunning organic light-emitting diodes (OLED) infinity edge-to-edge screen with more than 4 million pixels captures the rich and saturated colors of his creations. The tablet is also the first to integrate the Intel® RealSense™ Snapshot technology that captures a depth map for every picture taken, allowing Taylor to make instant measurements on his journey. Viewers can visit www.WhatLivesInside.com or www.Facebook.com/insidefilms to view the character sketches that were submitted for the chance to be featured in the film. Fans can also view the director’s video and the behind the scenes video. The What Lives Inside campaign was developed at Pereira & O’Dell by chief creative officer PJ Pereira, executive creative director Jaime Robinson, creative directors Jason Apaliski and Rob Lambrechts, senior designer Moses Kelany, VP director of production Jeff Ferro, senior film producer Elisa Moore, senior integrated producer Erin Davis, trailer and interactive editor Collin Kriner, co-director of client services Henry Arlander, account director Marisa Quiter, account executive Jessy Baer, VP of media Josh Brandau, media strategist Pete Fishman, project manager Adam Russell, business affairs director Russ Dadler, publicist Molly Parsley and production intern Josh Diaz, working with Intel partnering marketing manager Ryan Baker, global account director Michelle Megarry and executive producer Billie Goldman, and Dell executive director of North America marketing Marissa Tarleton, partner programs director Michael Lambert and media communications senior advisor Natalie Greeson. Filming was shot by director Robert Stromberg via RSA Films with director of photography Rodrigo Prieto, executive producer Tracie Norfleet, producer Jan Wieringa, production designer Todd Cherniawsky and costume designer Hala Bahmet, editor Rick Pearson, assistant editor Sean Thompson, casting director Heidi Levitt, screenwriter Christopher Kubasik and 1st assistant director KC Hodenfield. Visual effects were produced at MPC by managing director Andrew Bell, senior producer Nicole Fina, VFX supervisor Ross Denner, 2D leads Toma Bowen and Ruairi Twohig, CG lead Tim Kafka, asset supervisor Aaron Hamman, animation supervisor Stew Burris and colourist Derek Hansen. Title design and editorial were produced at Laundry Design by creative directors Anthony Liu and PJ Richardson, executive producer Michael Bennett, senior producer Dan Masciarelli, editor Rick Pearson and assistant editor Sean Thompson. Sound was designed and mixed at 740 Sound Design by executive producer Scott Ganary, mix executive producer Erin Reilly, lead mixer/ADR mixer Larry Winer, sound design producer Jeff Martin, sound designer Nicholas Interlandi, sound designer/post audio coordinator Rob Marshall, sound designer Will Ogilvie, scheduling coordinator Geena Richard. Original score was by James Newton Howard. Interactive production was done at Stopp by executive producers Fredrik Frizell and Eric Shamlin, senior producer Kelsey Reddicks, producer Callan Koenig, user experience architect Wai Shun Yeong, creative director Zach Richter, art director Abe Cortes, tech director Ola Bjorling and developer Jin Kim.